The Action of 11 November 2008 was a naval engagement fought off Somalia between pirates and British forces. Russia has stated that its forces fought off the pirates also, though Russia's involvement has been disputed by the Royal Navy. The incident took place 60 nautical miles (110 km) south of the Yemeni coast, in the Gulf of Aden, and the engagement is a part of Operation Enduring Freedom - Horn of Africa. When the Royal Navy ship HMS Cumberland attempted to board a Somali pirate dhow with twelve pirates on board, the pirates initially resisted with assault rifle fire. After a brief shoot-out with the Royal Marines, two pirates were killed and the dhow was captured by Cumberland. The Times has described the incident as "the first time the Royal Navy had been engaged in a fatal shoot-out on the high seas in living memory." 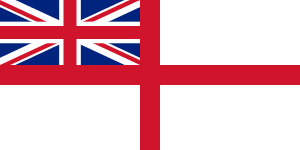 The Independent has also stated that the confrontation "is believed to be the first time recently that British [naval] service personnel have been involved in a confrontation that resulted in deaths", and The Toronto Star has stated that the engagement is "the first time since the 1982 Falklands War that the Royal Navy had killed anyone on the high seas." Russia Today has reported that the incident was "the first time Russian forces have moved against Somali pirates." As of 11 November 2008, 32 ships had been hijacked in the Gulf of Aden by pirates. The Gulf of Aden has been described as "a treacherous stretch for ships, particularly along the Somali coast". To protect commercial vessels off the coast of Somalia, a multi-national task force was deployed to the area. On 11 November pirates on board a dhow attacked the MV Powerful, a Danish-registered cargo ship, using assault rifles in a failed attempt to hijack the ship. A Russian Navy spokesman, Igor Dygalo, said that the pirates attempted twice to capture the ship, and were rebuffed by British and Russian helicopters operating from HMS Cumberland and the Russian frigate Neustrashimy respectively. 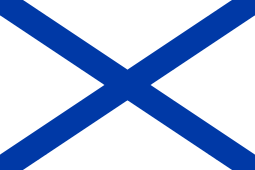 However, Russian involvement in preventing the pirates from capturing the Powerful has been disputed by the Royal Navy. Later that day, the Cumberland detected the dhow, which was towing a skiff, and identified it as a vessel involved in the attack against the Powerful. The Royal Marines unit on board the Cumberland was dispatched in Rigid Raider craft towards the dhow. The Marines then proceeded to circle the dhow, which had on board 12 men armed with rocket launchers and machine guns, in an attempt to force it to stop. The pirates opened fire on them, but no casualties were sustained by the Marines. Returning fire, the Marines killed two Somalis. The pirates subsequently surrendered, and the Marines boarded the dhow. The Royal Navy described the boarding itself as "compliant". Russia has claimed that one of its helicopters, based aboard the Neustrashimy, was involved in this firefight between the pirates and the Marines, though the Royal Navy deny this claim, stating that the Marines were supported by a Lynx helicopter from HMS Cumberland. – Captain Mike Davis-Marks, a senior spokesman for the Royal Navy. On board the dhow was a Yemeni male who, despite receiving emergency treatment, died from his injuries. The British Ministry of Defence reported that it was unclear as to whether the fatal injuries were the result of the gunfight, or whether they were sustained beforehand. The incident, according to The Times, "signalled a new policy of maximum robustness for the Royal Navy on the high seas". The remaining eight men who had been captured on board the dhow were handed over by the Cumberland to Kenyan authorities on November 18. 1 2 3 4 5 6 7 8 9 10 11 12 13 14 Crilly, Rob; Evans, Michael (2008-11-12). "Royal Navy in firefight with Somali pirates". The Times. Archived from the original on 23 November 2008. Retrieved 2008-11-14. ↑ A previous version of this article identified the pirates as Somali pirates. Since there is evidence that there were Yemeni, as well as Somali, pirates engaged against the Royal Navy, the generic term "pirates" has been employed. 1 2 3 Popplewell, Brett (2008-11-15). "Rule, Britannia, you've still got the stuff". The Toronto Star. Retrieved 2008-11-16. ↑ Sengupta, Kim (2008-11-13). "Marines kill two Somalis in raid on pirate vessel". The Independent. Retrieved 2008-11-15. ↑ "Russian & UK ships stop pirate attack". Russia Today. 2008-11-13. Retrieved 2008-11-15. 1 2 3 4 Norton-Taylor, Richard; Parfitt, Tom (2008-11-13). "British commandos kill two pirates in stand-off". The Guardian. Retrieved 2008-11-14. 1 2 Tkachenko, Maxim (2008-11-12). "British and Russia warships repel pirates". CNN. Retrieved 2008-11-14. ↑ "Pirates handed over by Cumberland". The Plymouth Herald. 2008-11-18. Retrieved 2008-11-20.